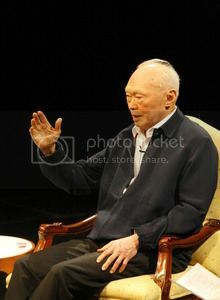 Minister Mentor Lee Kuan Yew said his insistence on bilingualism in the early years of education policy was “wrong”. Instead it caused generations of students to be put off by the Chinese language. Speaking first in Mandarin and then in English at the official opening of the Singapore Centre for Chinese Language on Tuesday, Minister Mentor Lee Kuan Yew gave a blunt assessment of Singapore’s bilingual policy. But his conclusions now, after over 40 years of learning Mandarin, cannot be more different. MM Lee said: “Nobody can master two languages at the same level. If (you think) you can, you’re deceiving yourself. My daughter is a neurologist, and late in my life she told me language ability and intelligence are two different things.